Dallas Symphony performance of Bruckner’s 8th Symphony is breathtaking! Sunday April 29th I attended the Dallas Symphony’s performance of the Bruckner 8th Symphony. I was really excited to hear this piece performed live. It is a magnificent symphony. It is not performed very often because of it’s length, (over 70 minutes depending on the version performed) it’s complexity, and the massive size of the orchestra required to perform it. The symphony is scored for 3 flutes (third doubling piccolo), three oboes, three clarinets, three bassoons, eight french horns (four doubling on Wagner tubas), three trumpets, alto, tenor and bass trombones, contra bass tuba, timpani, and a full complement of strings. The Scherzo and Adagio movements also include 3 harps, triangle and cymbals. Needless to say, the stage was crammed full of musicians. We are very fortunate in Dallas to have one of the best conductors in the world as our conductor. 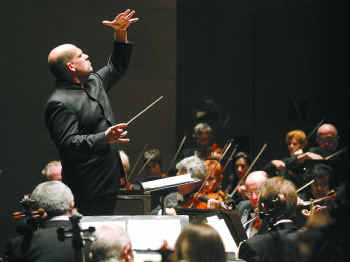 Jaap Van Zweden was just voted Conductor of the Year by Musical America for 2012! I was even more interested to hear this performance because Van Zweden has just recorded this symphony with The Netherlands Radio Philharmonic for Octavia Records. Mr. Van Zweden is currently recording the entire cycle of Anton Bruckner Symphonies. One of the first things a conductor has to decide before he can conduct a Bruckner Symphony is which version? Anton Bruckner was notorious for revising his work. There are two or three versions of almost all of his nine symphonies. 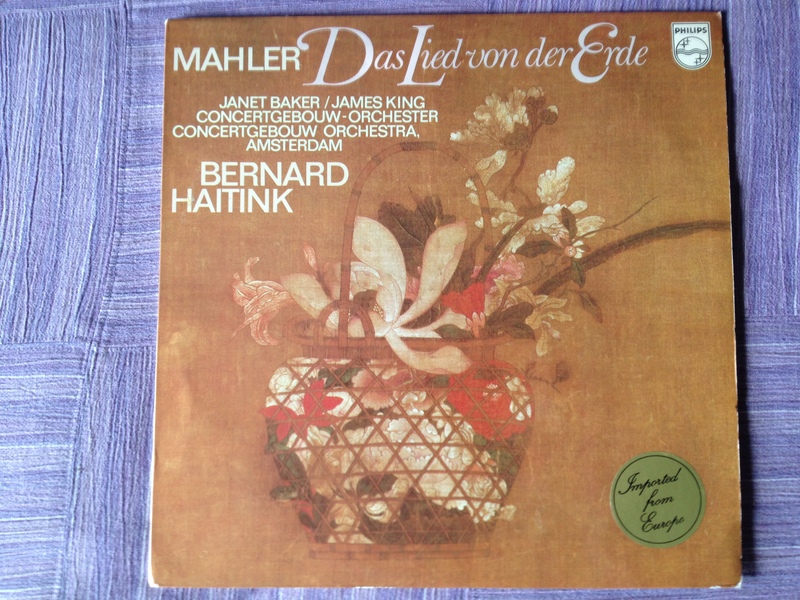 A total of 26 versions exist for his nine symphonies. He was not a very confident person and was very reactive to criticism from peers that he respected. There are 3 versions of the Bruckner 8th. In this case Jaap Van Zweden chose the last version which was revised by Bruckner and two of his students Joseph and Franz Schalk. It is the opinion of Maestro Van Zweden that the Bruckner 8th was the only symphony that was improved by the alterations. This version was completed in 1980. The symphony was debuted in Vienna on December 18, 1892 with Hans Richter conducting. This symphony is unique in the cannon of Bruckner symphonies for a couple of reasons. First of all, it is the only Bruckner Symphony to include harps and second, it is the only Bruckner symphony that the Scherzo precedes the Adagio movement. When I say this symphony is massive, I mean it is massive! The last two movements are each over 30 minutes long. If you are not familiar with the music of Anton Bruckner, think about the sound of the music of Richard Wagner. Bruckner idolized Wagner and worshiped his orchestral techniques. But that’s where the similarity ends. Wagner was a hedonistic, atheist and an antisemitic. Bruckner was a devout Roman Catholic and very spiritually centered in his personal beliefs. He composed an enormous amount of music for Catholic church services in addition to his nine symphonies. His love of God infuses his music. The symphony No. 8 in C minor starts out in a whispering tremolo in the strings, much like the Beethoven 9th. Bruckner’s music spins out in very long, slowly developing phrases. The first thing that stuck me about the DSO’s performance is how beautifully Jaap led the orchestra and audience through these long beautiful phrases. His vision of this symphony is beautifully clear. Consequently, he made this normally complex, difficult composition stunningly easy to follow and comprehend. What an amazing achievement! We are also fortunate to have a world class concert hall in Dallas. The McDermott Concert Hall at the Meyerson Symphony Center seemed to have been built for Bruckner. This state of the art hall can actually be tuned to the type of music being performed. The hall has an Acoustic canopy panel that can be raised and lowered as well as tilted to create various complementary environments for sound. In addition the hall has reverberation chambers that can be adjusted based on the amount of reverberation the conductor requires. For this performance the canopy was raised as high as it could go and the reverberation chambers were opened all the way. This created a cathedral like environment for the performance. Bruckner was an organist by training and most of his music was greatly influenced by the sound of an organ. The Bruckner 8th has several massive climaxes. As the mighty crashes of the full orchestra occurred, the ambient tail of the music was breathtaking. (When you think of ambient tail think of echo.) The sound would literally hang in the air for amazingly long times and Mr. Van Zweden would take full advantage of this effect. It was a breathtaking! This performance was nothing short of stunning. As the finale came to it’s dramatic conclusion, the audience sprang to their feet in a totally spontaneous standing ovation that went on for 15 minutes. 70 plus minutes went by in the blink of an eye. I was totally blown away by the vision of the conductor and the fabulous playing of the Dallas Symphony. What a great way to spend a Sunday afternoon. I for one am going to acquire the newly issued recording of this symphony my Maestro Van Zweden. Congratulations to Jaap Van Zweden and the Dallas Symphony. And how lucky am I to live in a city where I can experience a world class musical event like this!